During the past year, makerspaces have been gaining traction in libraries. A makerspace is a place where people come together to design and build projects. Makerspaces typically provide access to materials, tools, and technologies to allow for hands-on exploration and participatory learning. They are occasionally referred to as fablabs, hackerspaces or tech shops. Makerspaces emerged around 2005 as an offshoot of the Do-It-Yourself (DIY) movement. A makerspace often includes a 3-D printer, digital media and fabrication software, tools for welding, woodworking, and soldering, traditional arts and crafts supplies, and other electronics. However, makerspaces are defined not by specific equipment but by a guiding purpose to provide people with a place to experiment, create, and learn. 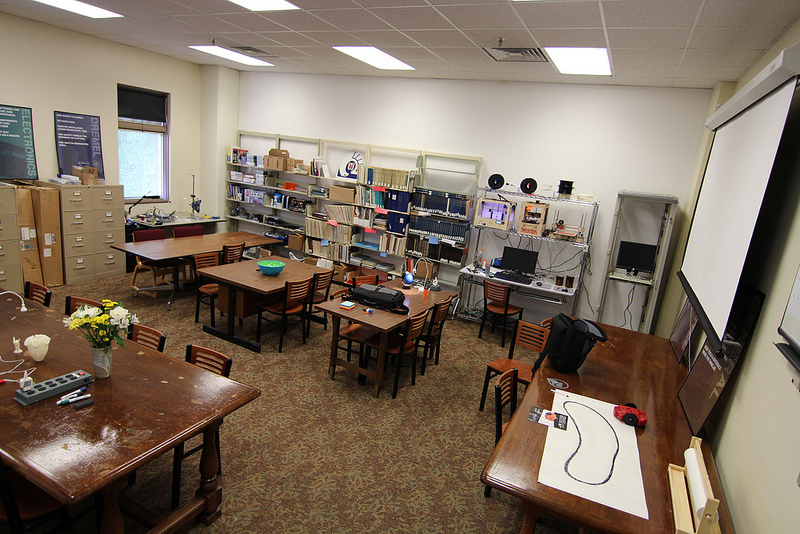 The Fayetteville Free Library in New York was the first library to create a dedicated makerspace, which they call the FFL Fab Lab. A handful of other public libraries have since developed similar spaces. If you are interested in learning more about these initiatives, Library Journal recently published a three-piece article on makerspaces in public libraries. A select number of academic libraries have also embraced the concept. Creative Commons licensed image via Creative Tools. Critical thinking and problem solving skills are invaluable to our students. Upon graduation, they will enter into a world and workforce that is rapidly changing; and they will be asked to solve real-world problems with innovative solutions. However, our current education system often lacks opportunities for most students to learn with their hands. Students studying art, theatre, music and dance do, but others often do not. By integrating makerspaces into libraries, we can support and expand opportunities for hands-on experimentation and learning. We can provide spaces for all students, no matter their major, “to work through problems in a repeated process of brainstorming, testing solutions, and going back to the drawing board.” 2 In doing so, we can aid in the development of crucial problem solving skills. Makerspaces are also an ideal way to support changing modes of learning. The academic landscape is shifting to some extent from a traditional teaching culture to a learning culture. A teaching culture consists of an expert transferring knowledge to students, whereas a learning culture utilizes active learning techniques. Student assignments have evolved as a result. As Lisa Kurt, Emerging Technologies Librarian at the DeLaMare Library at the University of Nevada, Reno, explained in an email interview, “Faculty are teaching by going beyond testing and asking their students to create content beyond papers. We are seeing assignments asking students to create posters, presentations, videos, tutorials, various prototypes and models (not just from the 3D printer).”3 By bringing makerspaces into libraries, we can adapt to changing student needs and supporting knowledge creation in addition to knowledge consumption. Makerspaces also allow us to expose students to cutting-edge technologies that could eventually lead to new entrepreneurial opportunities. Technology is revolutionizing the way we play, learn and work. In April 2012, The Economist wrote about “The Third Industrial Revolution,” and 3-D printers were central to their predictions about what manufacturing will look like in the future. The accessibility and low cost of 3-D printers and fabrication software means that anyone can be a maker, and anyone can interact with the technology to create innovative solutions to real-world problems. Creative Commons licensed images via DSTL UNR. Academic libraries are places where people from all disciplines gather. By bringing makerspaces into libraries, we can provide opportunities for new types of rich cross-disciplinary interaction to occur. Libraries are open to all campus constituents, and are thus perfectly positioned to provide equal and convenient access to makerspace materials, tools and technologies. In a makerspace, students from all areas can work together to share expertise, learn new skills, expand their thinking and discover new possibilities. We can open up opportunities for those majoring in nursing, education, biology, music, geography, and every other discipline. 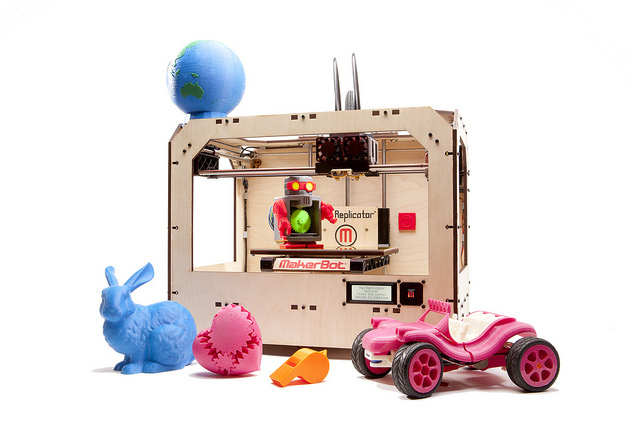 More and more academic libraries are aware of the relevance and benefits of makerspaces. 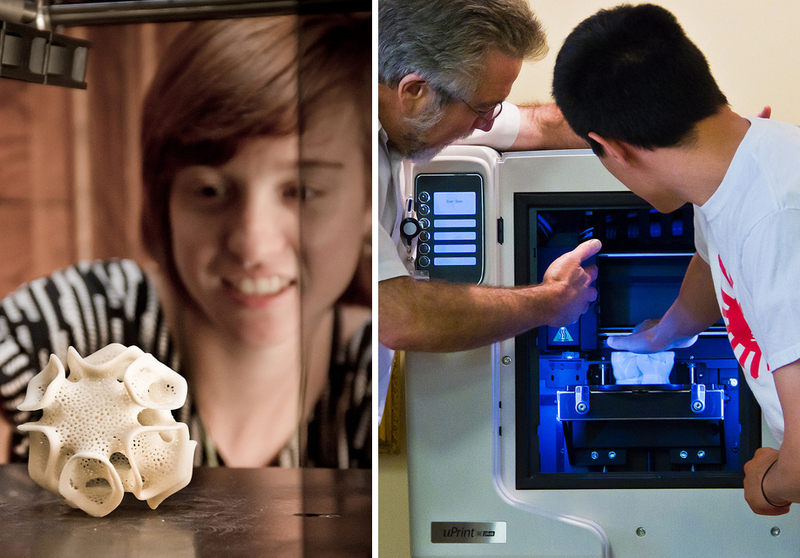 A handful of institutions have already implemented aspects of makerspaces with great success. Other academic libraries are eager for more information about equipment and programming. As you consider what tools and technologies to include in your makerspace, remember that educational goals should guide the creation of your space. But if you are curious about the hardware in current academic library makerspaces, read on. The University of Nevada, Reno’s DeLaMare Science and Engineering Library was the first academic library in the country to begin offering 3-D printing to all students. 5 The printers haven’t stopped running since the library began offering the service in July 2012. Students and faculty involved in engineering, chemistry, theatre, art, anthropology and other disciplines have all benefited from the technology. Lisa Kurt specifically mentioned that “two Chemistry faculty printed prototypes of molecules they’ve been working with for years. In doing this, they’ve made new discoveries. Being able to hold the object and see it in 3-D has allowed them to make adjustments and then recreate them.” 6 The library is also collaborating with community organizations to host events that promote hands-on learning. Twice now, they have worked with Bridgewire, a local makerspace, to provide popular lock-picking workshops. Currently the library has a UPrintSE Plus and a 3-D Touch. You can see the 3-D printer at UNR in action here. Creative Commons licensed image via Owenstr. For libraries looking for low-tech or low-cost ways to bring makerspaces into their buildings, the options are endless. Low-tech projects could be dreamed up with craft supplies and other materials like Legos, play dough, LED lights, old clothing, wooden blocks, duct tape and more. Make magazine is a great resource for project ideas of all kinds. At the heart of academic libraries lies a commitment to growth, learning, and exploration. Academic libraries in particular strive to be the intellectual hub of campus—a place where students, faculty and staff from all disciplines can gather to explore, create and gain new knowledge. Libraries are perfectly positioned to fill a gap in our education system and expand our reach by providing materials, spaces and support for collaborative making. By bringing makerspaces into libraries, we can provide more options for self-directed, innovative learning; we can provide a space that acts as an incubator for ideas; and we can provide tools for the rapid prototyping of those ideas. Over the years, academic libraries have successfully adapted to cultural, technological and educational shifts in order to meet the needs of our campuses. Incorporating makerspaces into our broad mix of services, resources and technologies seems like a natural way to continue our evolution. About Our Guest Author: Erin Silva Fisher is the Library Program Manager at Grand Valley State University in Allendale, Michigan where she coordinates educational outreach and programming initiatives. She is especially interested in student engagement, participatory learning, and user experience design. You can find her on Twitter @erinsfisher.